You may use the worksheet under many titles.. It talkes about places. Christopher Columbus's job. It talks about a discovery. 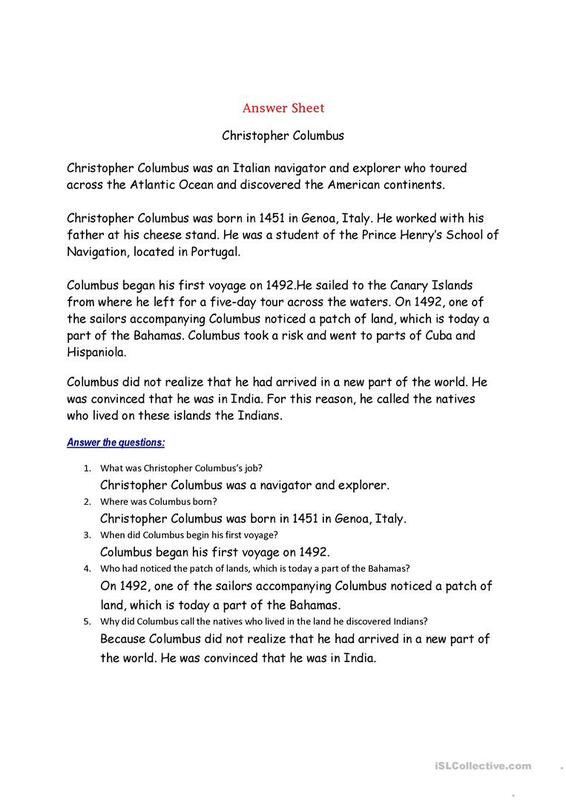 The present downloadable printable is meant for elementary school students and adults at Elementary (A1), Pre-intermediate (A2) and Intermediate (B1) level. It is useful for enhancing your class' Reading and Writing skills. It is about the vocabulary topic of Places. The answer key is provided, too.